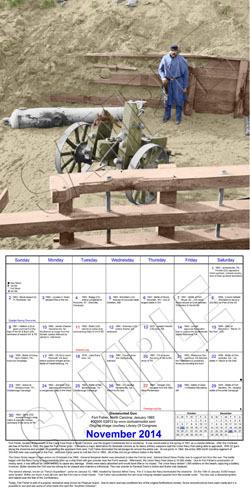 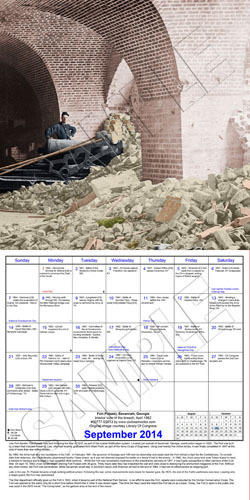 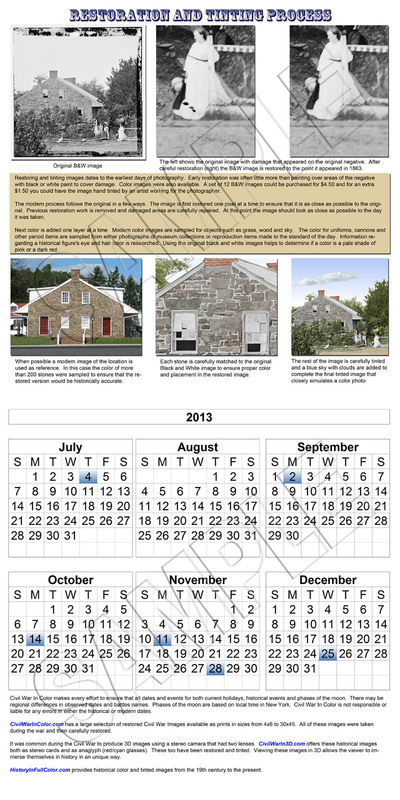 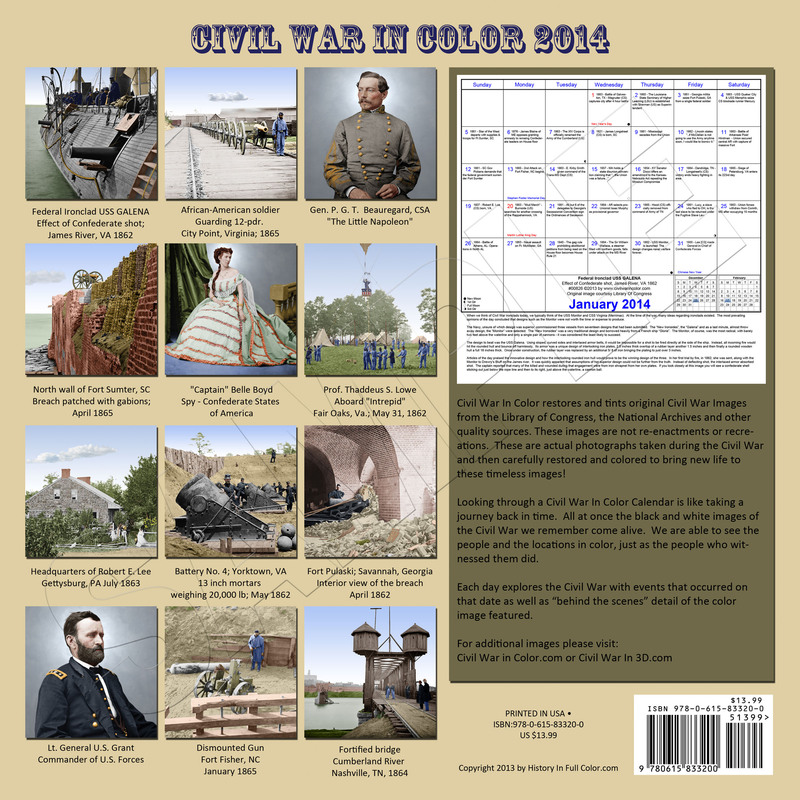 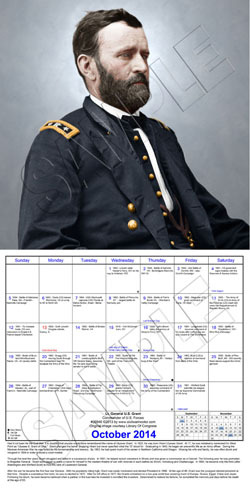 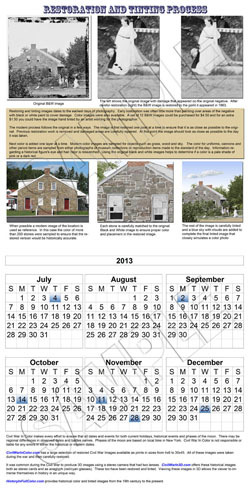 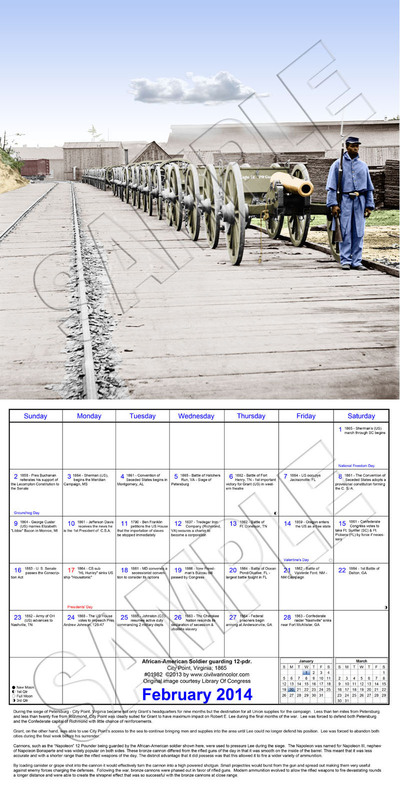 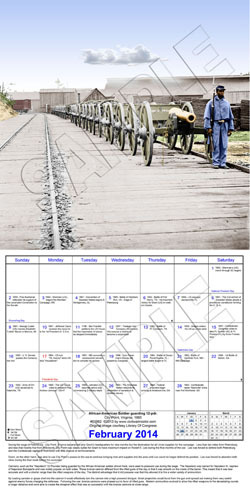 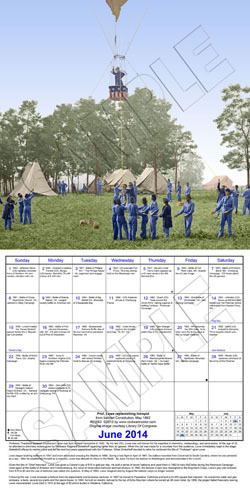 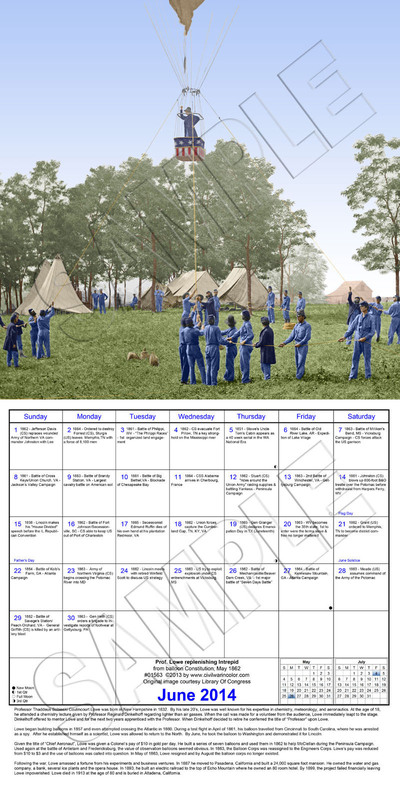 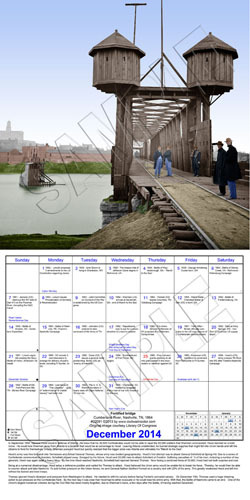 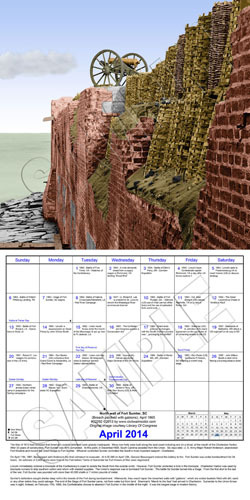 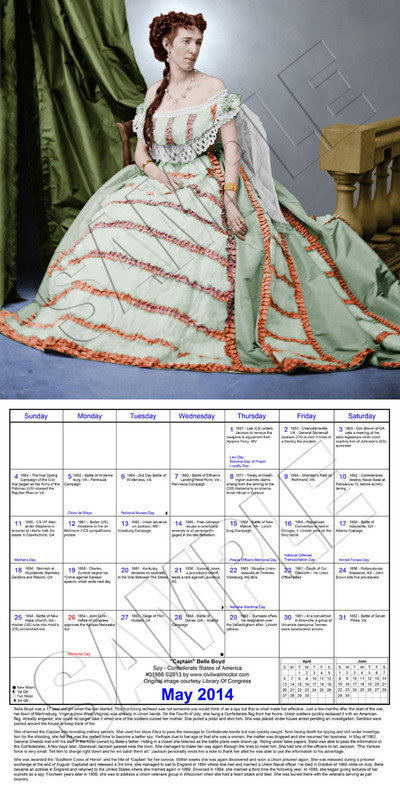 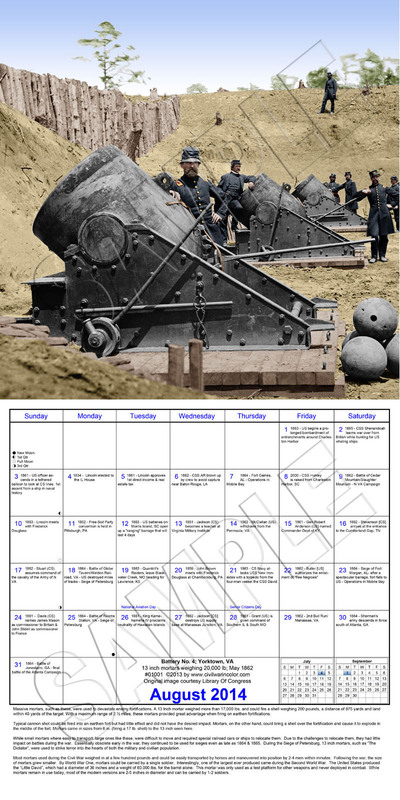 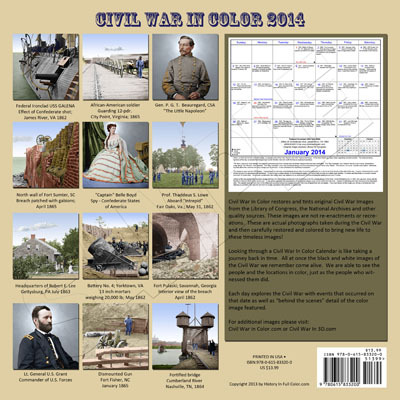 The 2014 Civil War In Color Calendar is now available! Looking through the Civil War In Color Calendar is like taking a journey back in time. 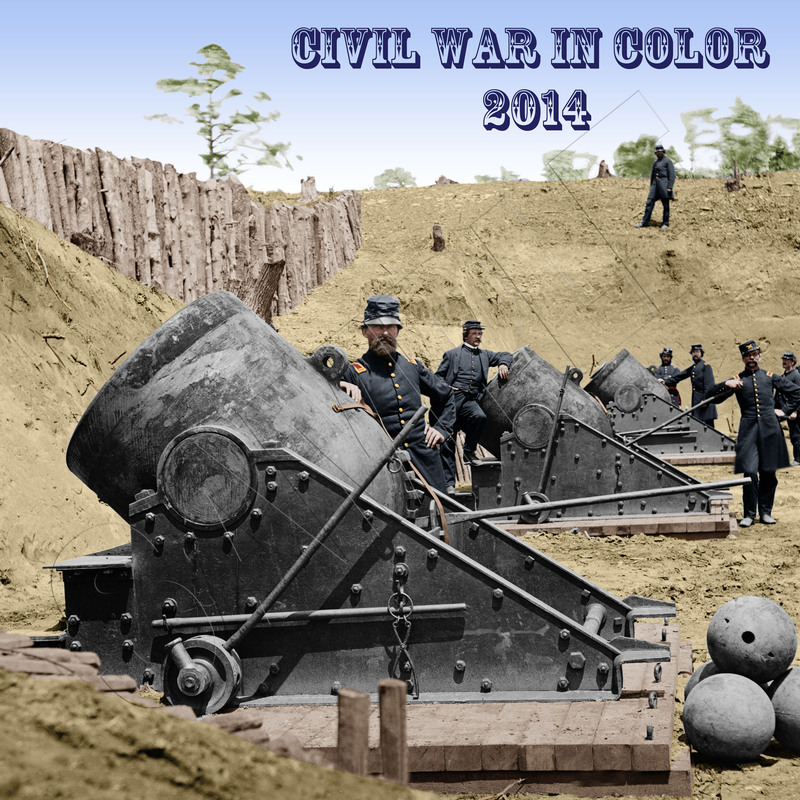 The black and white images of the Civil War we remember, come alive. 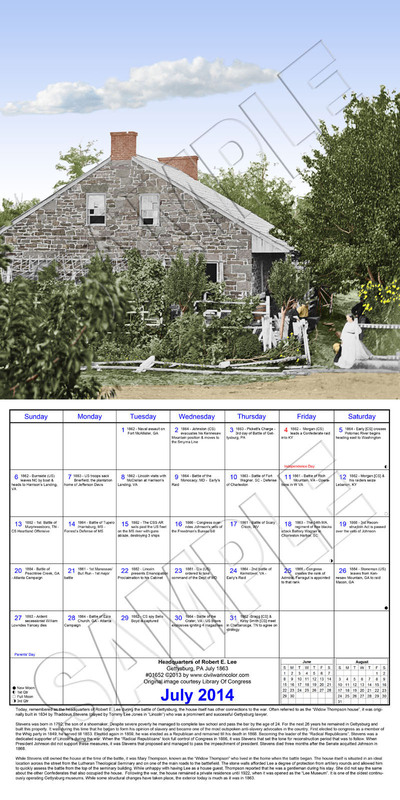 We are able to see people and locations in color, just as the people who lived it. 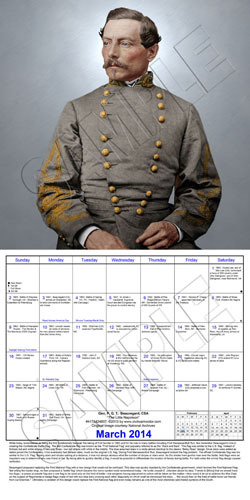 Each day, explore the Civil War with an event that occurred on that day. 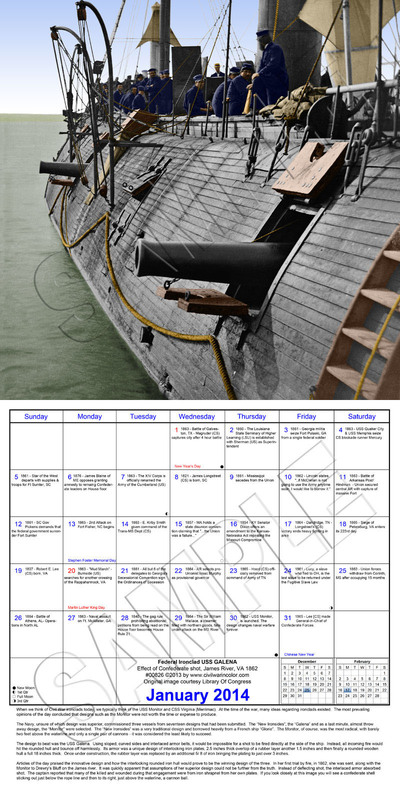 The Image of the Month features information about that photograph, which is part of the tale of our American History.